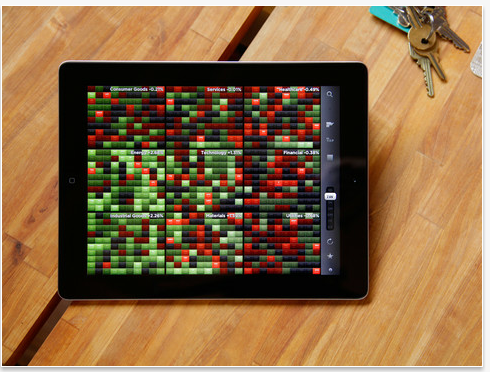 StockTouch is a powerful and intuitive stock monitoring app for iPad and iPhone. You could play the lottery. You could sell your house and move to a cave in Scotland. You could even have your gender surgically realigned. But’s far easier to change your life with the help of these existence – augmenting apps. Just download , tap to open and say hello to the new your – and all without the need for a single scalpel..
Track your favorite bands– Tell them who you want to see live. Easily organize artists and concerts in one convenient place. Free personalized concert alerts – Songkick emails you when your tracked bands come to your area. No spam about bands you don’t care about. Find out before tickets sell out – We send concert alerts early – way before tickets sell out. Never miss out on a great concert again. PrimeLocation.com is the UK’s leading website for quality estate agents and property. The site was launched in 2001 by a consortium of over 200 leading independent estate agents across the UK, who were committed to leverage their collective strength to be at the forefront of online property marketing.In January 2006 the company was bought by Daily Mail & General Holdings Limited as part of its strategic expansion into the online business sector. An effective medium for those buying, selling, renting and letting property in the UK and overseas. It accepts property listings only from estate agents, letting agents and new homes developers. Launch Zapd, add a picture, some text, and a link, and you’ve just created a respectable website. It’s easy to use, surprisingly fun, and totally free… website builders don’t come any easier – or more convenient – than this. Zombies, Run! is an ultra-immersive running game for the iPhone, iPod Touch, and Android. ArtRage, the stylish and easy to use painting package for Windows and OS X. Paint with tools you already know how to use! ArtRage is an easy to use, stylish painting package for Windows, Mac OS X, and iPad. Check out the different versions of the product using the links to the left. Blueprint is the most powerful iPhone(or iPad) UI design application. Blueprint is extremely simple and intuitive multi-touch interface gives designers and developers the ability to design apps faster and easier than ever. Blueprint provides nearly all the widgets of iOS. Their attributes (like size, shape, color and background image) are the same as those of the real widgets. Just a few clicks and a few drags-and-drops are enough to design a simple screen. Of course, the widgets are fully customizable, so any user can design any screen. Pageonce will simplify your life with these great features: Pay your bills anytime, anywhere, See all your account balances so you can spend smart, Track your bills and payments in one simple place, Instantly see all your purchases and deposits, Keep an eye on your credit card transactions, Stay up-to-date and protected with real-time alerts, Pageonce automatically organizes and tracks your money and bills so you don’t have to. See your banks, credit cards, bills and investment accounts in one simple place – like a universal remote for your finances! Control where your money goes and get important real-time alerts and reminders about bill due dates, overage charges, and even suspicious activity. You can also track your frequent flyer miles, rewards, mobile minutes, text and data usage. Pageonce is the safe and secure solution that millions of people have chosen to simplify their daily financial life. iFixit is the free repair manual that you can edit. With step-by-step repair guides. Learn how to repair electronics the easy way—one step at a time. Create, Layout, Design and Visit the home of your dreams!Have you ever wished to change the déco, the color or rearrange your home ? Are you about to move into a new apartment ?Home Design 3D is the perfect app to plan and design the home of your dreams with simplicity! Zeebox is a free app that’s with you on your laptop, iPhone, iPad or Android smartphone, while you watch your TV. It knows what you’re watching, right now. Not only that, it shows you what your friends are watching. It can give you more information about what you’re watching, instantly. It lets you buy and download relevant stuff. It can tell you what shows are most popular, in real-time. It’s like a quiet, cool, well-connected and unbelievably clever companion, right there on the sofa next to you. Riveting talks by remarkable people, free to the world. TED is a nonprofit devoted to Ideas Worth Spreading — through TED.com, annual conferences, the annual TED Prize and local TEDx events. Did you ever want to set Focus, Exposure, and White Balance by yourself?With almost DSLR, you can control your camera more effectively! And also it is a great choice for using a complex (SLR) lens adapter! Create notebooks for recipes, books, movies or anything else that matters to you, together with friends, family and co-workers. Save ideas and info from anywhere, access them whenever, and start getting more from life.